Police in Florida proved that there’s no monkeying around when it comes to stolen cars. Deputies from the Pasco County Sheriff's Office pulled over 23-year-old Florida resident Cody Hession on Friday after he drove a vehicle he allegedly stole into a ditch, authorities said. The deputies were not expecting to have to also take Hession's pet Capachin monkey into custody when they made the arrest, according to sheriff's office. 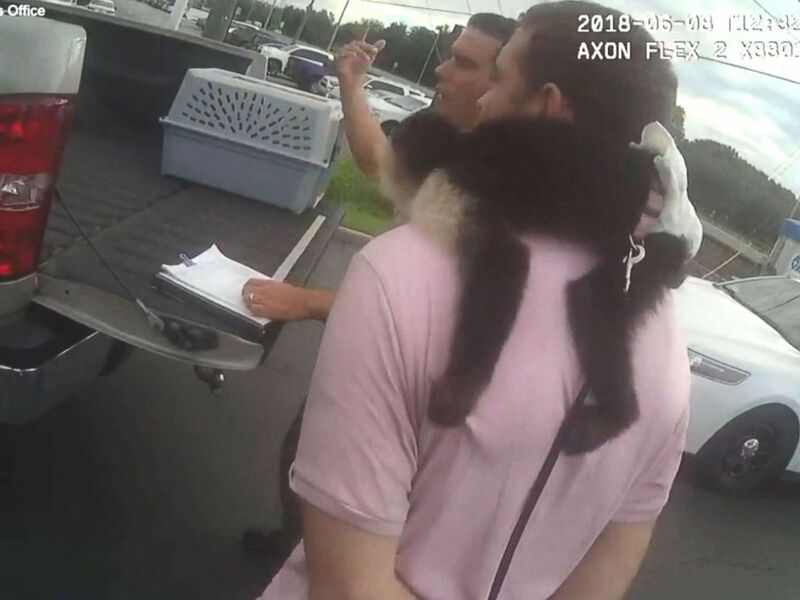 Deputies then inform Hession that since he doesn't have a permit to own the monkey, they're going to have to take it to the Suncoast Primate Sanctuary in Palm Coast. A monkey named Monk was taken to the Suncoast Primate Sanctuary in Palm Harbor, Florida, after its owner was arrested for allegedly stealing a car. During the encounter, Monk wraps himself around the back of Hession's neck, resting his head on Hession's shoulder. The monkey even stays in place as Hession -- still handcuffed -- walks to the back of the deputy's truck as the leash drags behind them. 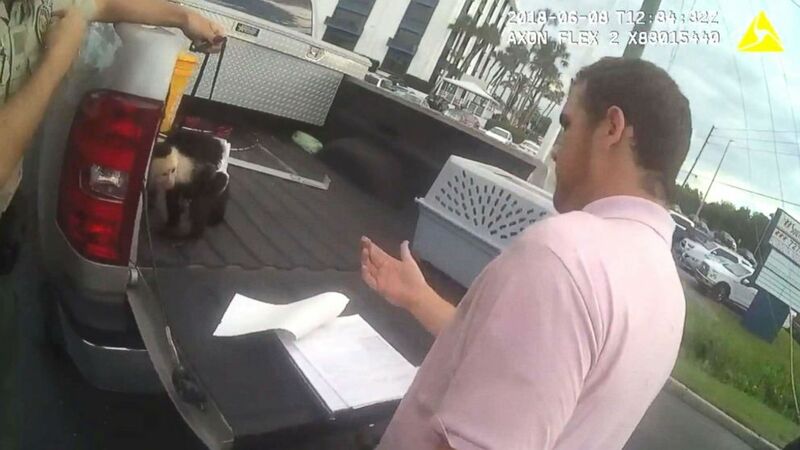 One deputy places a call and tells the person on the other end that they are placing the monkey in the carrier, describing the animal as "pretty friendly," and the video ends as the handcuffs are being placed back on Hession. Hession could face additional charges for not having a permit to own the monkey, according to the sheriff's office.